mix of sea and countryside for your holiday, and a chance to explore the best local cuisine. Set within the medieval village of Porrona (a hamlet of Cinigiano), Castel Porrona Relais & Spa is set in the heart of a territory rich in scenic, historical and artistic beauty and distance 23 km from Montalcino. Its position in the Maremma countryside means that it is close to the sea as well as a number of fascinating cultural sites such as Siena, San Gimignano, Florence and the Val d’Orcia. In harmony with its architectural context, Castel Porrona Relais & Spa is marked by solid all-embracing lines and warm, precious materials. Restoration works have preserved the original cotto tiles, clay bricks and stone, together with the medieval soul of this charming place, which stands, silent and reassuring, in Tuscany’s most exclusive and unspoilt heart. 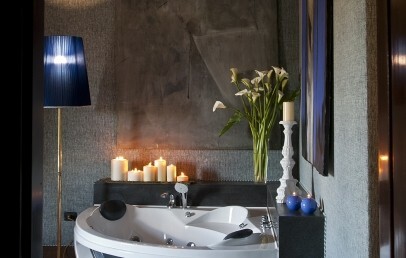 The 25 units are all differing one from the other, are furnished with precious materials and bright colours. The warmth of rural style is accompanied by top standards of comfort: all rooms have complimentary Wi-Fi connection, air conditioning, hair dryer, complimentary toiletries, minibar, coffee maker and LCD TV with Mediaset Premium channels. 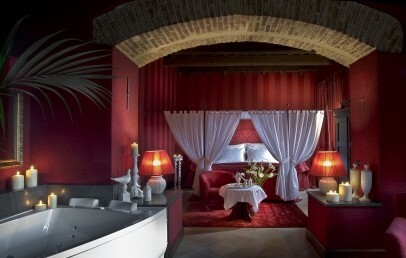 The rooms have great panoramic views over the Tuscan hills. 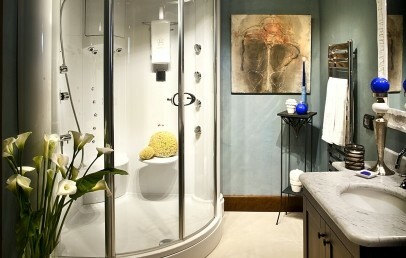 The apartments can accommodate up to 4 or 5 people and have different sizes. They are all equipped with bedrooms, living room, bathroom, kitchen, outside areas. They are located on the ground floor or upper floors, accessible only by stairs. The room rate includes welcome amenities in room upon arrival, access to the outdoor, heated swimming pool, access to de Agua Spa with indoor pool, whirlpool, sauna, calidarium, valet parking and Wi-Fi connection. Without ever losing sight of the green horizons of the Tuscan countryside, guests can seek refuge in our sensory oasis and decoration with original furniture from Morocco: Agua Spa offers two Jacuzzi, calidarium, steam bath, sauna, heated saltwater pool with cascades, four treatment rooms for wine therapy, massages and rituals with locally sourced essences and an outdoor fitness area. Open for lunch and dinner, Il Chiostro offers an excellent choice of traditional Tuscan specialities, a menu which is renewed each season based on the best local products and with a rich and varied wine list. The daily breakfast is included in the room price and is table served with delicacies as patisserie, croissants and oven-fresh bread. Il Chiostro restaurant is open from April to November for lunch and dinner for external guests and offers a suggestive and enchanting view over the ancient and original Chiostro of the village. The Concierge is the added value of your stay at Castel Porrona Relais & Spa, and will be happy to give guests the keys to the territory, helping them discreetly through the choice of the numerous activities available: cooking class, wine & olive tasting, bike tour, yoga lessons, historical and artistic visits, nature treks, wine-tasting, cruises on private yacht. Guests have free use of the pool, spa and common areas. Large double rooms furnished in local style, the Classic rooms vary as to colour and finishes and are marked by their old-style, precious materials. Some rooms have a splendid view over the surrounding countryside. 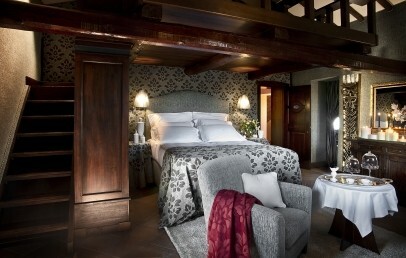 Wooden beams and coordinated materials, the Deluxe rooms are marked by their rich finishes and stylish ambience. The rooms look out over the hamlet of Castel Porrona and some have a shower with hydromassage jets, a four-poster bed and panoramic view. Large and welcoming, the suites comprise a bedroom and a living room. The rustic style and quarry-tiled floors, plus wooden beams are matched by the refined style of colour choices and finishes, which vary in all suites. 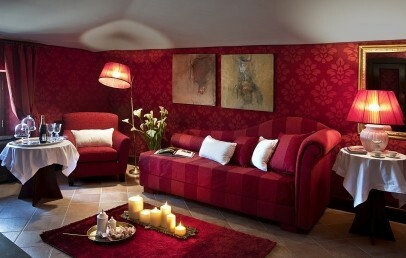 Some Suites have a splendid panoramic view over the surrounding countryside or on the narrow streets of the village. Romantic hideaways marked by rustic style and precious materials, these Executive Suites are large luxurious rooms, equipped with double hydromassage tub and with separate lounge area. 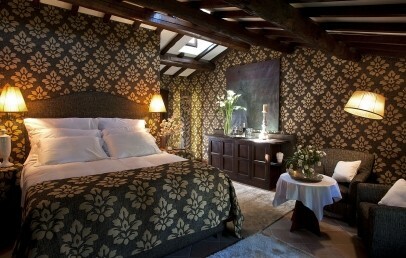 Some have a four-poster bed, many have a panoramic view over the surrounding countryside. 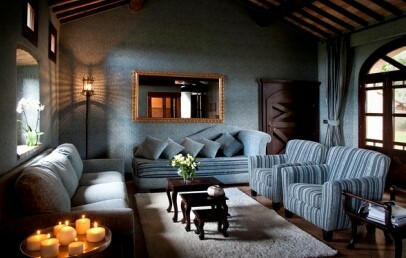 These Suites are perfect for a romantic getaway or honeymoon. Spacious accommodations furnished in local style. The apartments vary as to colour and finishes and are marked by their old-style, precious materials. Every unit has two or more bedrooms, a living room, a kitchen area, a bathroom with shower and outdoor lounge areas. They are located either on the ground floor or on the upper floor, only reachable by stairs. Occupancy 5 people.